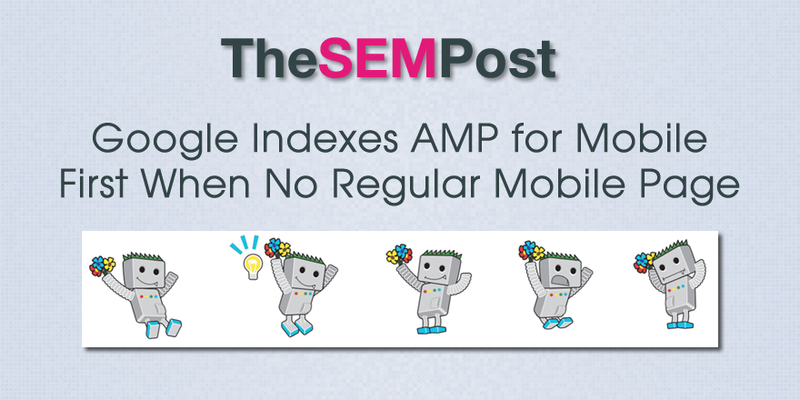 At Brighton SEO, I asked for clarification on an issue that has had mixed responses – whether sites that are using AMP as their only mobile version of a site – would see their desktop or their mobile indexed when Google switches to mobile first indexing. I raised the question with Gary Illyes from Google, who originally announced the mobile first indexing last year. Question: A lot of people have AMP as their only version of the mobile page. For mobile first, will Google crawl the AMP version of the page? Illyes: Yep. This is easy. There was conflicting advice about this back in November 2016, in the early days of information about mobile first being released, with Maile Oyhe from Google confirming desktop would be indexed for AMP as the only mobile version situations, while Gary Illyes confirmed the opposite.